Many businesses we speak with have grown quickly, based on paper-based manual processes, or Excel spreadsheets. As the business grows, more people are added, more work is generated and admin staff are needed. Everything slows down, impacting your ability to grow and increasing your costs. If there are time consuming activities in your business that are bringing you down, we can help you to automate them, streamline them and make them digital. The dotted line shows the break-even point of your business. The costs are below it, and the profit is above it. Increase sales – speed up your quoting and follow-up processes. 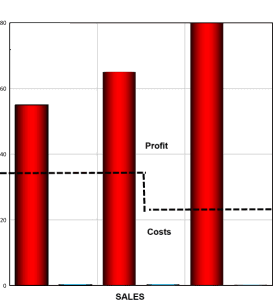 Reduce your costs – cutting costs through automation. We can move the “dotted line” down and reduce costs by automating business processes. 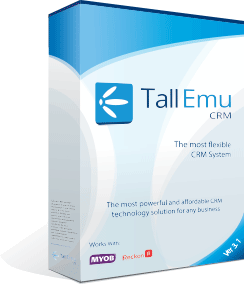 If you have any manual process, or excel based process – or data entry between multiple different systems, we can help you to reduce these costs with business process automation using Tall Emu CRM and associated tools.